Lycoming College students honored Martin Luther King Jr.’s contributions to social change during Martin Luther King Jr. Dream Week. 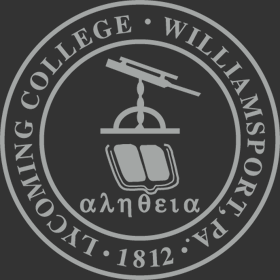 Commencing with activities on Saturday, Jan. 19, students from Lycoming College, students from Pennsylvania College of Technology, and Williamsport community members commemorated King through service, celebration, and academic discourse throughout the week. The festivities began with a Peace Walk Saturday morning. 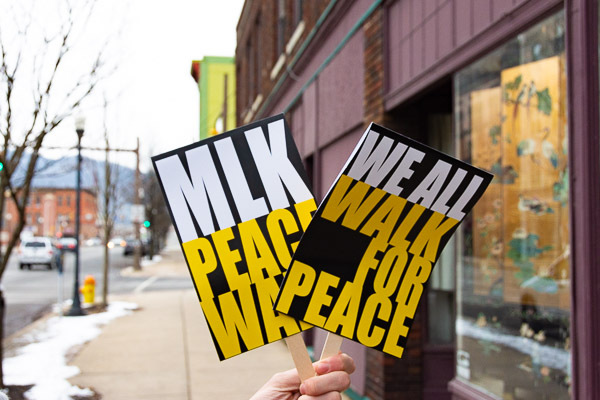 The Peace Walk, like many of the other Dream Week activities, is part of an annual initiative led by Lycoming College, Pennsylvania College of Technology, the Beloved Community Council, and StepAmericorps. 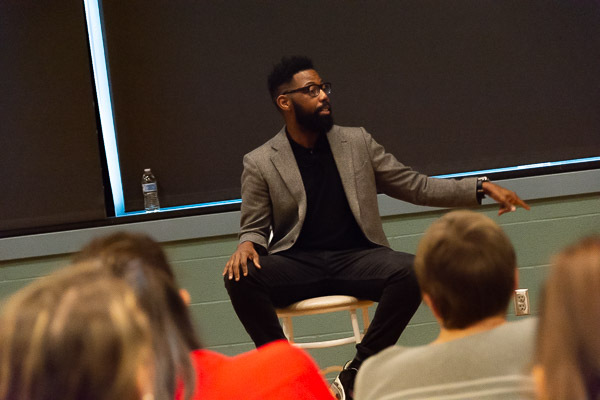 This event was open to both college campuses, as well as the Williamsport community. Beginning at the First United Methodist Church, participants marched down Third Street, Fourth Street, and Market Street toting banners and chanting. 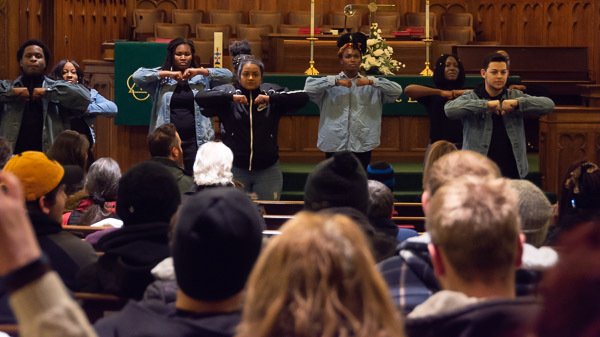 Following the Peace Walk, the church held a celebration featuring musical performances and a routine performed by Lycoming College’s Pom and Dance team. 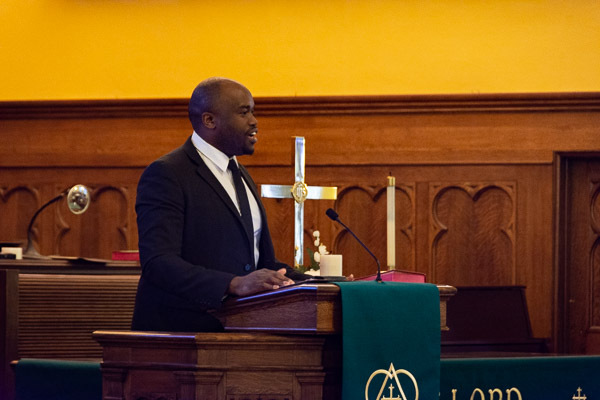 Raphael Mnkandhla, the lead pastor at City Church, closed the celebration with a discussion about social justice and community in memory of King. 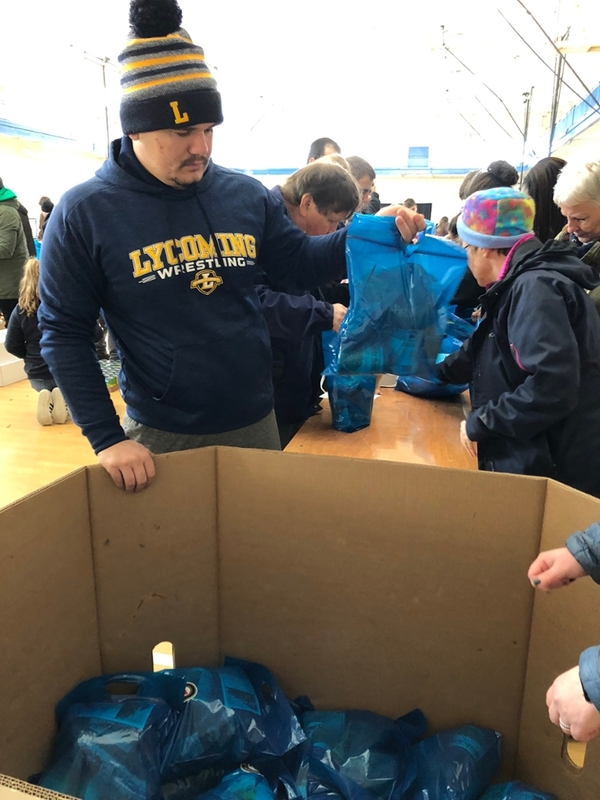 The week continued with a service event held at Lycoming College’s Keiper Recreational Center. 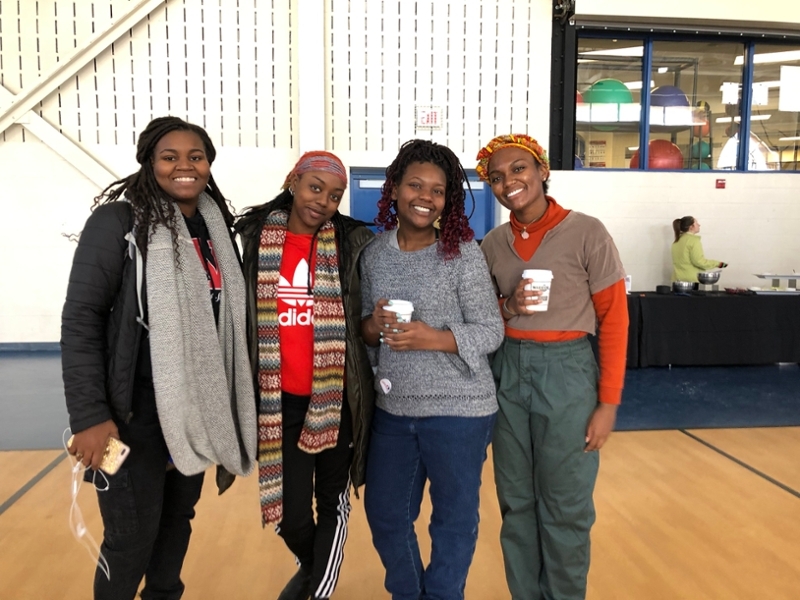 On Martin Luther King Jr. Day, which is also recognized by Congress as a national Day of Service, 300 students and community members gathered to pack food for impoverished families in the Williamsport area. 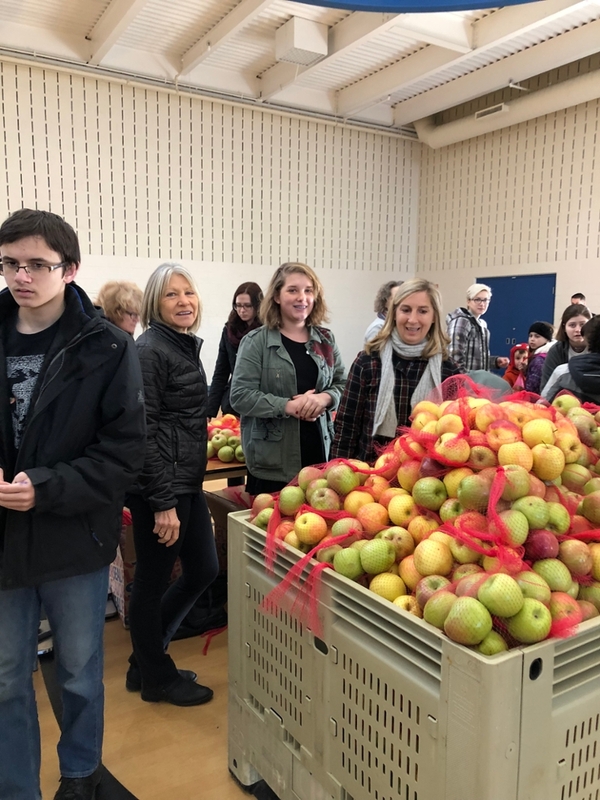 Attendees participated in a Hunger 101 Session, which educated people on what hunger looks like in Central Pennsylvania, as well as in packing meals, backpacks, and apples for local families. The three-hour event generated over 1,000 meals packed, as well as many backpacks for the Backpack Program. 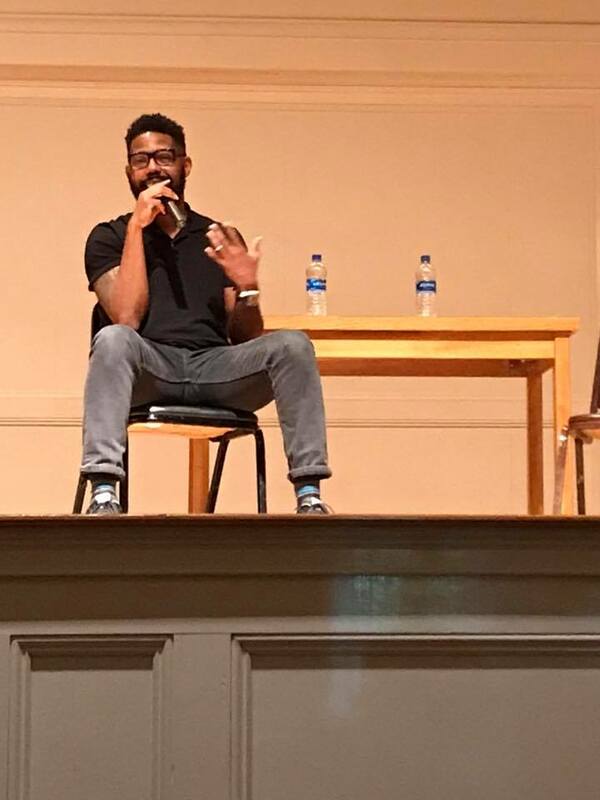 Other activities included a round table discussion held on Tuesday, Jan. 22, at City Alliance Church, and a panel discussion with Damon Young on Thursday, Jan. 24, in Clarke Chapel. The moderated panel, led by Young and Mallory Weymer, director of civic engagement and personal development at Lycoming College, focused on understanding how the effects of news media influences day-to-day lives related to race and culture in our society, helping the audience gain a broader view of the struggles marginalized communities face, and helping them gather insights on social change that will expand on subjects from race relations to cultural divides. Prior to the discussion, Black Student Union (BSU) members, including political science major Rochelle Adjei ’20 (Frederick, Md.) 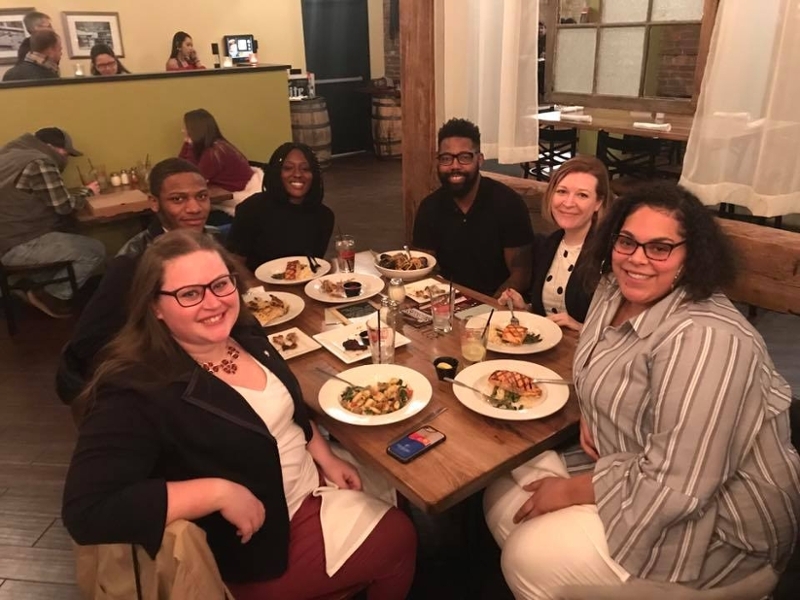 and English major Naheem Height ’19 (Newark, N.J.) dined with Young, which allowed them to have one-on-one conversations outside of the panel event. Height, who currently serves as the president of BSU, introduced Young at the discussion.